Up to £25million of public money is set to be spent on transforming Chesterfield station as part of the HS2 high speed rail scheme. A report presented to the Sheffield City Region Local Enterprise Partnership Board last week listed the figure as the estimated cost – with a further £800m being spent at Sheffield station. A range of different options for the Sheffield masterplan are being explored, with finalised proposals due next year. Sheffield’s existing railway station is due to be revamped to handle both HS2 and standard rail services when the high-speed line starts in 2033. The report, jointly compiled by commercial property and real estate consultants Cushman & Wakefield, design and engineering company Arup and economic development and regeneration specialist ekosgen, states detailed project plans have been prepared for the “redevelopment of Sheffield Midland Station and immediate environs to create a new high-quality arrival point”. The report said a preliminary figure of “circa £800m” has been put on the Sheffield work but adds this is “based on an early concept design”. The report said funding/finance for the work will involve the ringfencing of Community Infrastructure Levy planning charges on developers, the use of future property tax revenues and ‘direct property land and property investment’. The Government will be asked to provide a grant towards some of the work. The report also said that Cushman & Wakefield have reviewed “the potential land and property impacts of the proposed high-speed rail investments” within 1km of the station but no further details have been made public. Last month, it was revealed plans to build a new £500m HS2 station in Leeds would result in the demolition of dozens of existing businesses, with almost 5,000 city centre jobs “being displaced or possibly lost”. 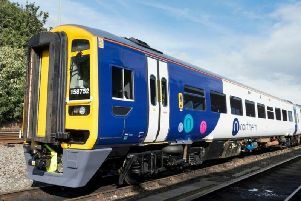 Details of the emerging Sheffield proposals have emerged following engineering firm Atkins being appointed to lead a consortium in developing a new masterplan for Sheffield Midland Railway Station. At the time, Sheffield Council said one of the aims of the consortium will be to “unlock the development potential of the surrounding area over the next 20 years”. A spokesman for Sheffield Council said today the development of the masterplan is due to continue “until at least the middle of next year”, when more information will be released.